On the Barcelona scene (and beyond) the leaderless MUT Trio has a unique and idiosyncratic voice. It’s a voice that combines sparse structures and eloquent improvisation. 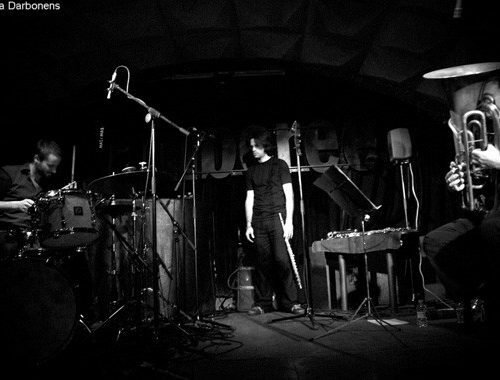 A voice in which space and silence are equal partners alongside the instruments. It’s a voice that continues to evolve on this, their forth recording. 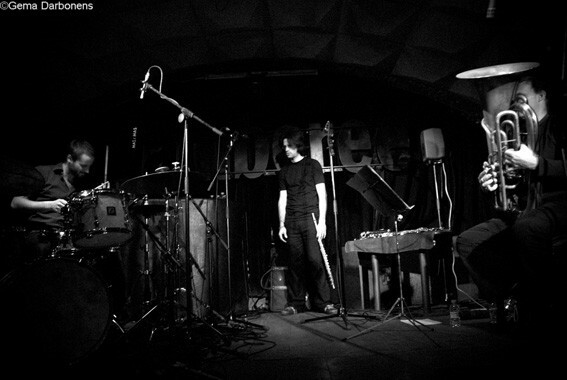 The MUT sound still features Miguel Fernández’s agile tone and minimal, fragmented phrasing, Albert Juan’s infinite textures and melodic refraction, and the cymbal-infused percussive landscapes of Oriol Roca… but with the addition of occasional live collaborator Masa Kamaguchi on bass, the sonic palette has broadened a little. Yet in bringing this deeper timbre, Kamaguchi is at home with the ‘less is more’ MUT philosophy and adds a variety of string-rattling subtleties without the slightest injury to MUT’s trademark mesmerising flow and cliché-free clarity. 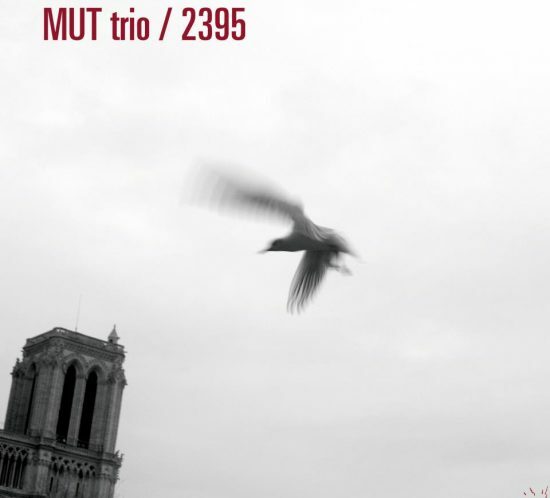 MUT Trio is about melody. Often partial, splintered even; tuneful shards are repeated, turned over, given fresh response, pushed through the looking glass, creating unpredictable journeys for the listener. From the precision and pace, to the hint of the souk, or the folk-ish roots of their music… some possibilities only become apparent (or possible) once in motion, and MUT are in constant motion. It’s been said before – notably by Ornette Coleman – that you cannot intellectualise music without diminishing it in some way, what really matters is the emotional response. 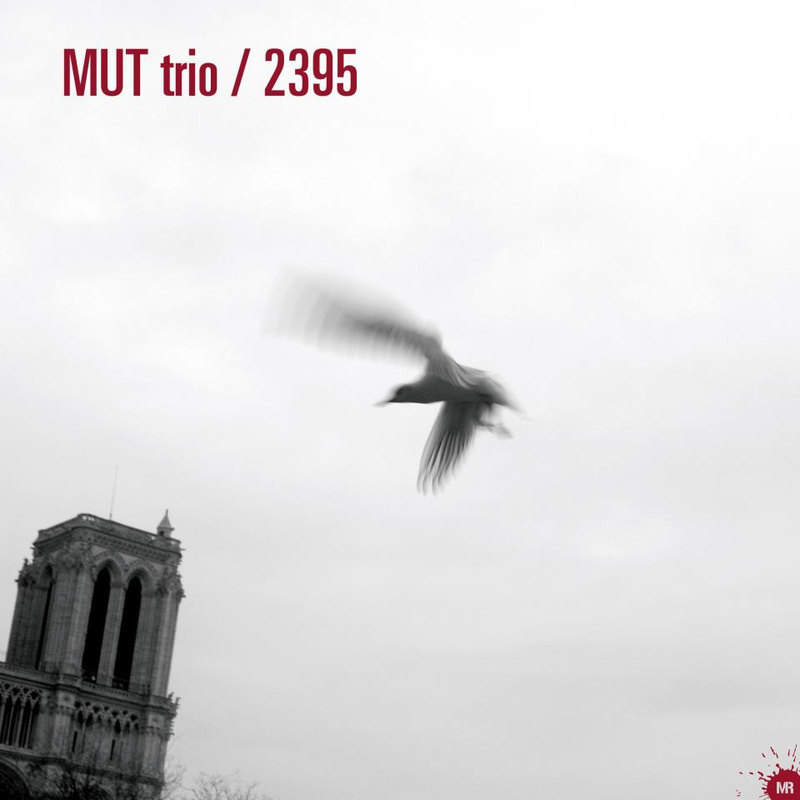 MUT Trio’s music is primarily an emotional endeavour: curiosity, melancholy, joy (from quiet to fierce), liberty, wonder, and warmth, this is music alive with feeling. 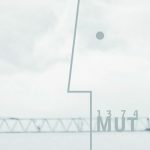 Formed in Barcelona on 2009, MUT is a trio without leaders. 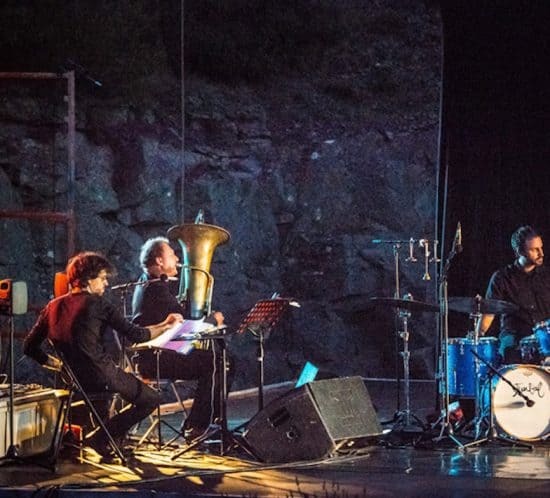 A band that works on a land located between the composition and improvised music with a repertoire of songs that appear spontaneously connected by improvised sequences, all of them connected as a recitative. The order in which the songs appear is completely random, so that’s the band premise: make music happen by itself putting the sound of the three instruments at its disposal. 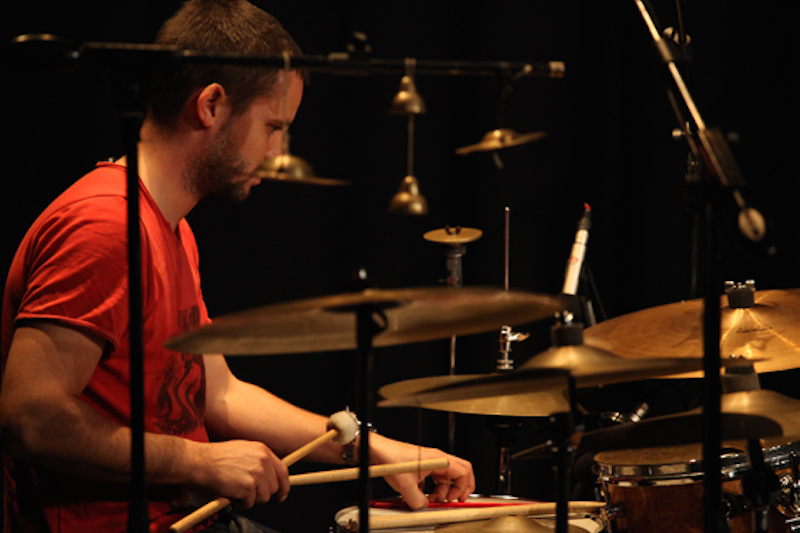 Occasionally the trio is joined by bass player Masa Kamaguchi and Manolo Cabras. 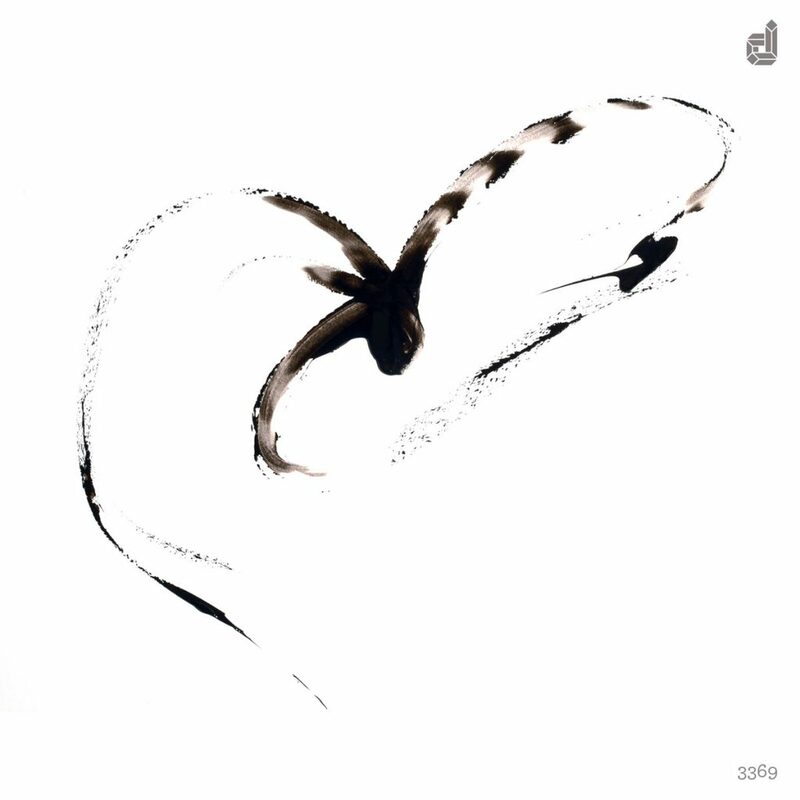 “I’ve always found the material on the New Talent side of the Fresh Sound label of interest and this compelling release from the Barcelona-based (and curiously named) MUT group is no exception. 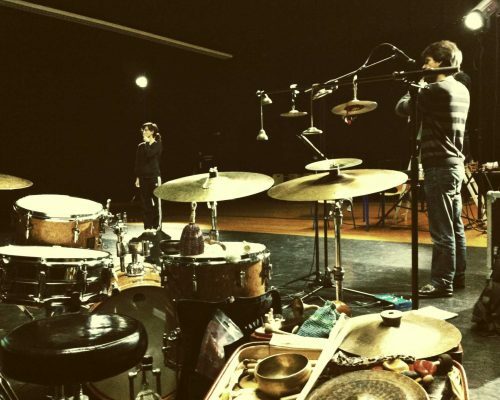 Usually a trio, here the group is augmented by Japanese bassist Kamaguchi. Pizzicato throughout—hear the potency of his figures within the building, thickening group textures of Torrance or the patient clarity of his solo on A Is to B—Kamaguchi fits seamlessly into what sleeve-note writer Dave Foxall aptly calls the spare structures and eloquent improvisation characteristic of the music. Each musician is a fine player. Fernandez evinces incisive yet also painterly control of both textured sound and arching dynamics (witness the tenor opening of What’s Now?) while Juan and Roca are as one in their sensitivity to the interplay of cross-phrased “little sounds” and subtle colour. Anyone who appreciates the leaner or more oblique aspects of Sonny Rollins, Wayne Shorter or Sam Rivers—or who has relished the interaction of Joe Lovano, Bill Frisell and Paul Motian, for example—will find much to enjoy here: sample the opening moments of What’s Next? 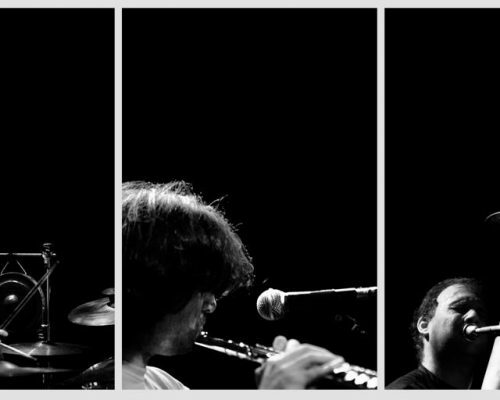 French-Catalan trio (first prize in Barcelona’s Concurs de Jazz 2007), leaded by french flute player Etienne Lecomte. 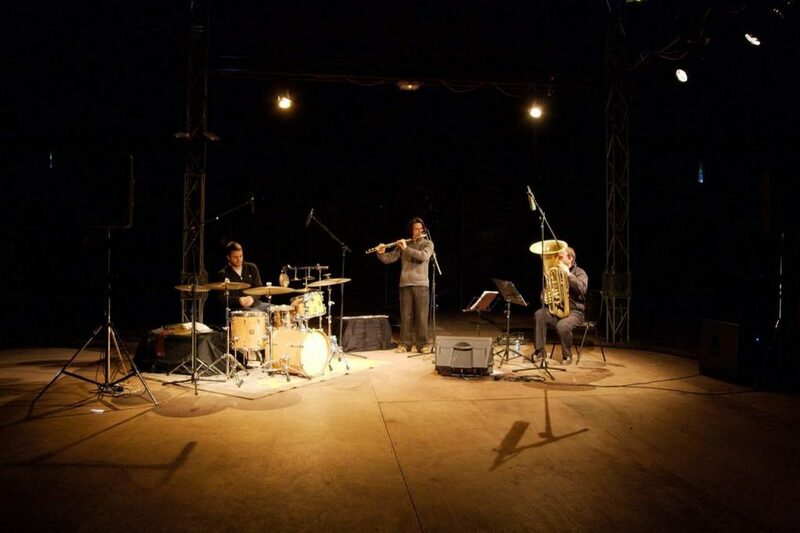 Together since 2006, the trio has developed a very personal universe combining 20th century written and oral music with influences of world music, funk, avant-garde jazz, and rock. 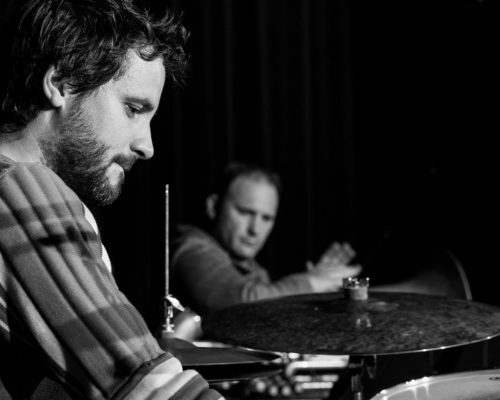 Over the years, the trio has collaborated with other musicians, visual artists and dancers in different side projects. 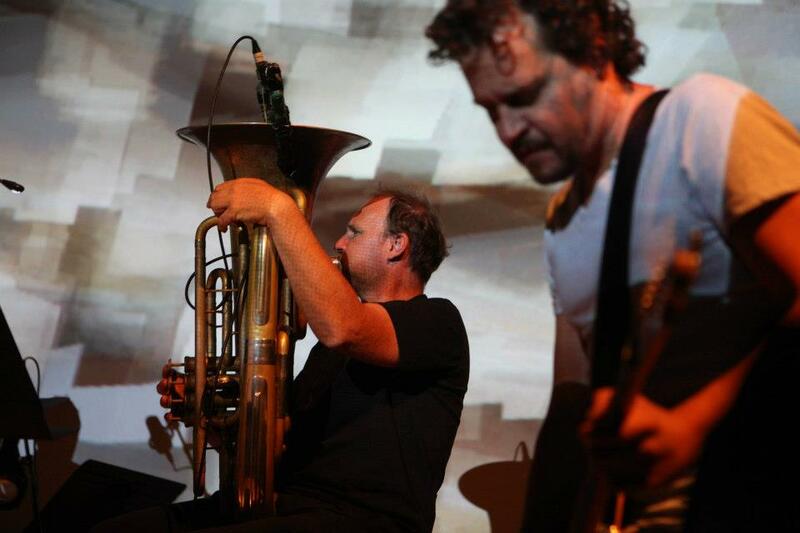 The Crossroad Project (2011) included spanish guitarist Jaume Pantaleón, polish saxophonist Radek Knop and finish video artist Mia Makela. 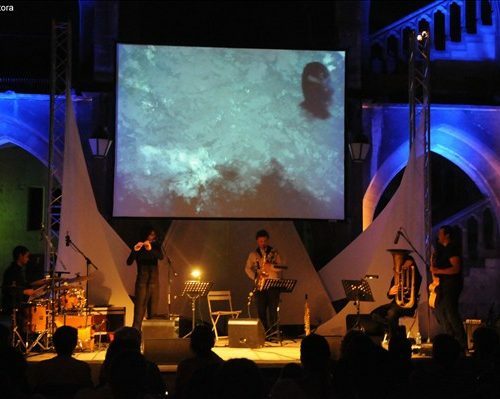 After some concerts in France and Spain the album Crossroads Project (Labelmanivelle 2011) was released. 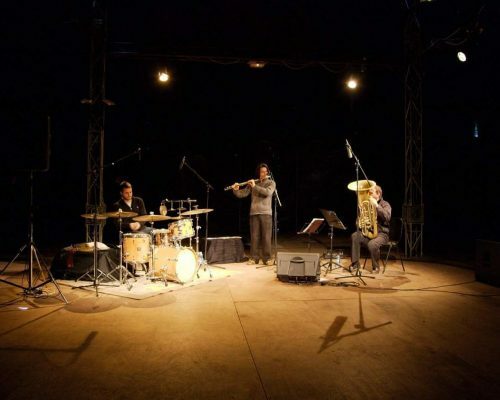 On 2013 Vrak Trio gathered around 60 musicians for the Romania Project, includind the french Banda d’Aubergne and the romanian Nadara Transylvanian Gyspy Band for a series of concerts in Romania. 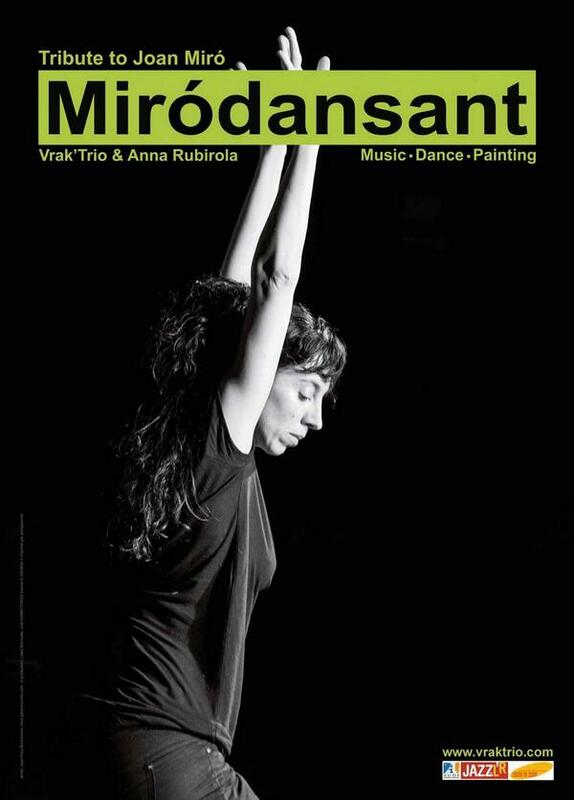 Since 2012 contemporary spanish dancer Anna Rubirola is collaborating on Vrak’s project Miró Dansant, a tribute to the catalan abstract surrealist painter Joan Miró. The project explores through movement and music a series of Joan Miró’s pictures, working methods and his approach to instant creation. 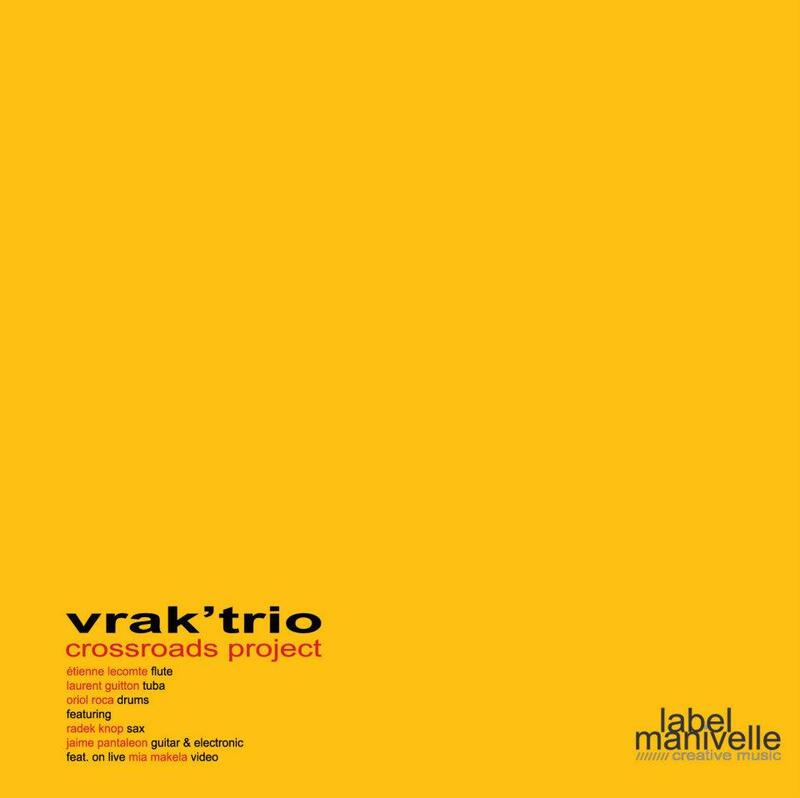 Currently Vrak’ Trio is revisiting, together with saxophonist Miguel Fernández and guitarist Albert Juan (members of MUT TRIO) the iconic Charlie Haden’s Liberation Orchestra album The Ballad of the Fallen. 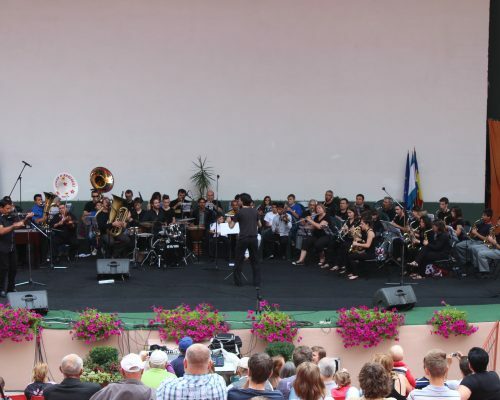 this project includes again the participation of the french brass large ensemble Banda d’Aubergne. 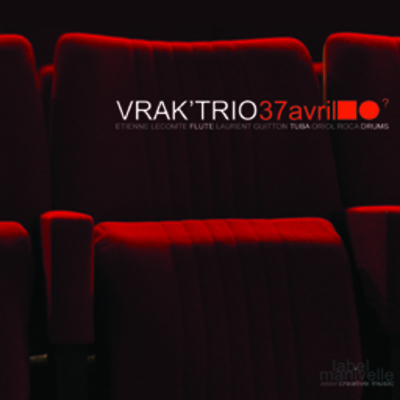 During the almost ten years of existence, Vrak’ Trio has performed in many festivals in Spain, France, Italy, Romania including Jazzèbre Festival Perpignan, Jazz à Luz, LEM Festival Barcelona, Jazz à Colignac, Jazz Garrigue, Jazz à Marciac, Mercat de Música Viva de Vic, Festival 31 Notes d’Éte, Jazz Mosaïque, Millau Jazz Festival, Koa Jazz Festival Montpellier, Charlie Jazz Festival, Festival de Jazz d’Igualada, Jazz à Midi, Light Blue Interfestival Ghent, Uanciufree Interfestival Sardegna, Festival Musiques au Présent Narbonne, among many others. Flûte, tuba, batterie. Voilà une orchestration des plus originales. C’est dans cette formule que se présente le Vrak’ Trio, groupe franco-espagnol qui, avec Connivence, sort son quatrième album. 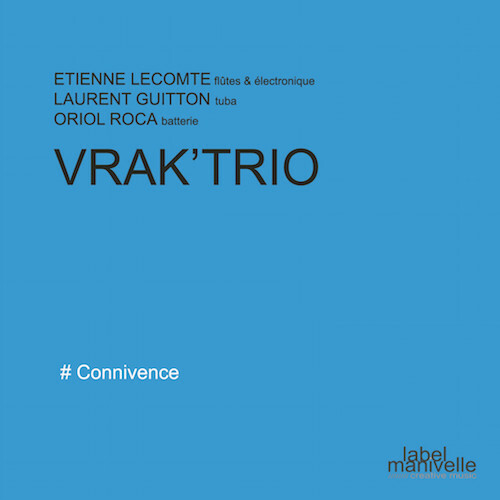 Emmené par le flûtiste Etienne Lecomte, Vrak’ Trio propose une musique intimiste, minimaliste parfois, teintée çà et là d’une dose d’électronique. Au fil des seize titres de l’album (qu’on pourrait comparer à des miniatures, leur durée n’excédant pas les trois minutes), on voyage entre plusieurs ambiances : orientalisme, musique répétitive, film noir, easy listening. Chaque pièce fonctionne comme une ritournelle tantôt mélodique tantôt bruitiste. Aux flûtes et traitement électronique, Etienne Lecomte fait mouche grâce à la justesse et à la précision de son jeu ainsi que par son sens aiguisé de la mélodie. Le tubiste Laurent Guitton utilise son instrument tantôt pour soutenir harmoniquement l’ensemble tel un contrebassiste, tantôt comme un soliste, lançant des riffs rageurs. Derrière ses fûts, Oriol Roca décore l’ensemble de petites touches de couleurs avec un à-propos confondant. Comment répondre dans le cadre d’une écriture musicale à l’injonction du plasticien catalan Joan Miro qui disait : « Il est important pour moi d’arriver à un maximum d’intensité avec un minimum de moyens » ? En choisissant comme les audois de Vrak’Trio une formule minimale flûte/ tuba/ batterie valorisant le contraste de couleurs pures? En s’inspirant dans les compositions de l’esprit enfantin, de l’onirisme surréaliste puisant dans les limbes du subconscient, en juxtaposant une expression brute à une suggestion poétique ? Vrak’ Trio, dans son essai de transposition de la toile du peintre à l’instrument du musicien signe une belle réussite qui mérite plus qu’un large détour. Het is bepaald geen alledaagse bezetting die het Vrak’ Trio heeft: fluit, tuba en drums. De muziek klinkt dan ook navenant. 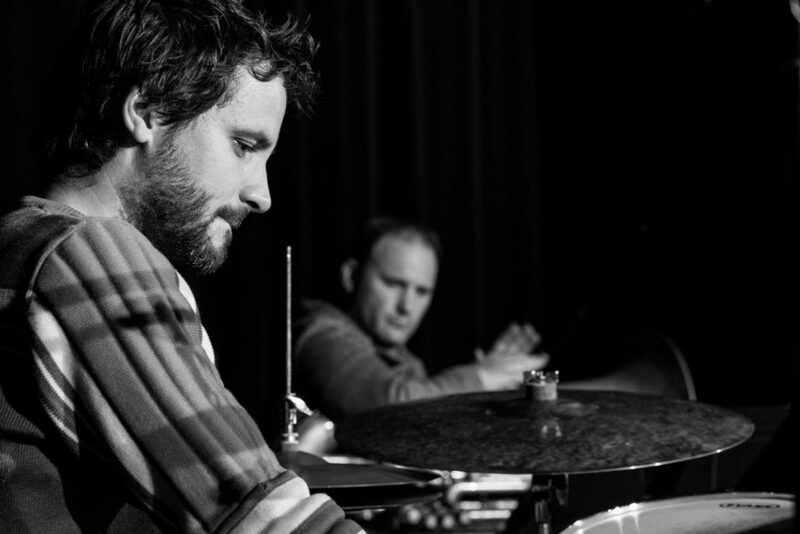 Dit trio, bestaande uit respectievelijk Etienne Lecomte, Laurent Guitton en Oriol Roca, heeft zijn sporen verdiend in zowel de jazz als in de volksmuziek van Spanje en Frankrijk, de landen van herkomst van de musici, maar is eveneens beïnvloed door de muziek van de Roma. We vinden het allemaal terug in de eclectische mix die het album ‘Connivence’ is geworden. Soms gebeurt dat zeer ingetogen, bijna voorzichtig, als in de drie composities met de naam ‘Silhouette’. In ‘Silhouette 1’ vallen het geluid van de tuba en de fluit op een wonderlijke manier samen tot een verstilde melodie, terwijl in ‘Silhouette 2’ de fluit een dialoog aangaat met het tribaal klinkende slagwerk. In ‘Silhouette 3’ blaast Lecomte een klassiek aandoende melodie, terwijl we op de achtergrond een voorzichtig ritme ontwaren, wat allengs in kracht toeneemt en de fluit als het ware wegdrukt. Op andere momenten zit er meer dynamiek in de stukken. In ‘Sparks’ wordt dat vermengd met de muzikale traditie van de Roma. We horen Lecomte hier in een elektrificerende fluitsolo, terwijl Roca en Guitton voor het zo kenmerkende ritme zorgdragen. In ‘Yksnivarts’ fluit Lecomte een soort van dwarse dans op sterk slagwerk van Roca. Gaandeweg gaat het er steeds nerveuzer aan toe. Por casualidad, resulta que estuve presente en uno de los dos conciertos que fueron registrados para hacer este disco, el de Barcelona. Recuerdo que entonces varias personas me recomendaron vivamente que fuera a verlos. Y lo cierto es que el concierto me impresionó gratamente, y lo sé además porque esa misma noche tomé unas notas que, miren por donde, voy a poder usar ahora, ya que parte del material de este disco proviene de aquella noche. Lo primero que quiero señalar de este trío es que me gusta su sonido, es distinto, no suena a nada de lo que se hace por aquí. Y cuando digo sonido lo digo de una manera amplia, no sólo por el colorido que aporta su peculiar instrumentación, sino por la forma e interpretación de los temas. El trabajo de Lecomte a las flautas es excepcional, pero no menos que su labor como compositor y arreglista. Justamente, el disco se abre con un arreglo particularísimo del ellingtoniano “In A Mellow Tone” que segmentan en dos partes. Podríamos poner la lupa en ese tema para hablar de todo el disco, en él encontramos prácticamente todo lo que ofrece el Vrak’Trio. Por ejemplo, ese sonido selvático y denso que, como apunté hace un año y pico, me parecía que llevaba algo africano dentro. Supongo que Lecomte, francés, detalle importante, debe tener muy presente esa conexión con África. Y no sólo él, Guitton y Roca secundan esa impresión. 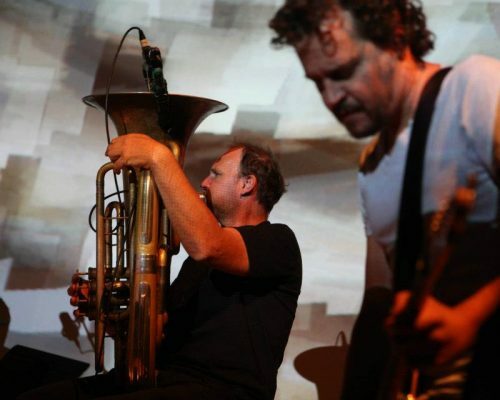 La tuba, que teóricamente funciona como un bajo, aunque también tenga sus momentos de fuga, aporta un sonido de cuerno, profundo y misterioso (a veces suena como un didgeridoo). La batería, tratada como percusión (campanillas, manos, paños sobre la caja), es seca, en el sentido de desprovista de todo sentido de la ornamentación, y procura ese ambiente frondoso (y a veces tribal). Y, finalmente, las agudas y penetrantes flautas, que dan el toque de lamento o grito humano (en ocasiones vocaliza mientras la toca). El hombre y un entorno, lo necesario para elaborar un relato. Regresemos, ya para acabar, a “In A Mellow Tone” y a su personal arreglo e interpretación, que sugiere las licencias que se tomaba Mingus con el mismo Ellington, sobre todo por el juego de contrastes y timbres. Pero hay otros temas, como “La marche des chameaux” y su aroma árabe, “Tchak” con la gracia de su línea melódica, o esa extraña versión de “Tales Of Rumi” de Charles Lloyd, que me gusta más que la original. Elementos muy jazzeros también a veces, combinados con cosas que suenan a música clásica y contemporánea. En fin, chapeau. Dès le titre, 37 avril, l’étrangeté est de mise. Quelle est cette date qui n’existe sur aucun calendrier ? Celle d’un printemps suspendu, ou la date d’une représentation théâtrale que dessine en creux Vrak’ Trio dans les quinze morceaux courts et nerveux de ce premier album, qui se pare du velours rouge des fauteuils d’orchestre ? Le point d’interrogation qui se dessine, discret, non loin du titre laissera libre court à l’imagination et à la musique onirique d’un trio étonnant jusque dans ses timbres. Une flûte, un tuba et une batterie, le triangle est inédit et le résultat séduisant. De surcroît, jamais il ne tombe dans l’anecdote, le piège de la formation atypique. Car la formation catalane du flûtiste Etienne Lecomte construit en toute cohérence une sorte de suite qui visite ces sonorités nouvelles, créant en miniature de petits univers reliés. À l’image de cette configuration particulière, les nouveaux espaces créés par le discours commun des trois musiciens restent à défricher, et c’est de cet essai de langage nouveau que naît la magie. 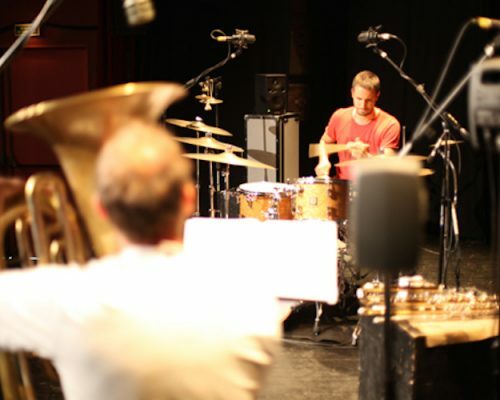 La relation entre la flûte incisive de Lecomte, clef de voûte de l’ensemble, et le tuba agile de Laurent Guitton fonde un propos où l’image et la couleur influent sur le cours de l’improvisation. 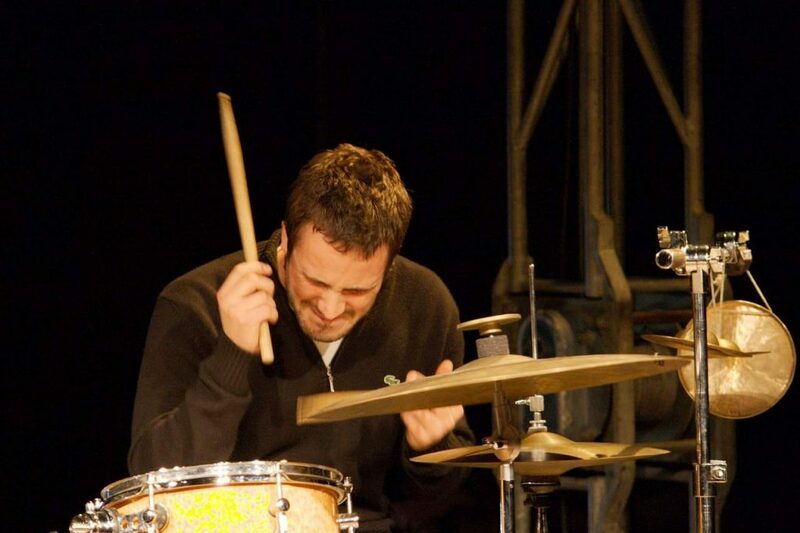 C’est sur cette dominante que se place le batteur Oriol Roca, qui influe presque plus sur le développement mélodique que sur cette rythmique, socle partagé du trio. 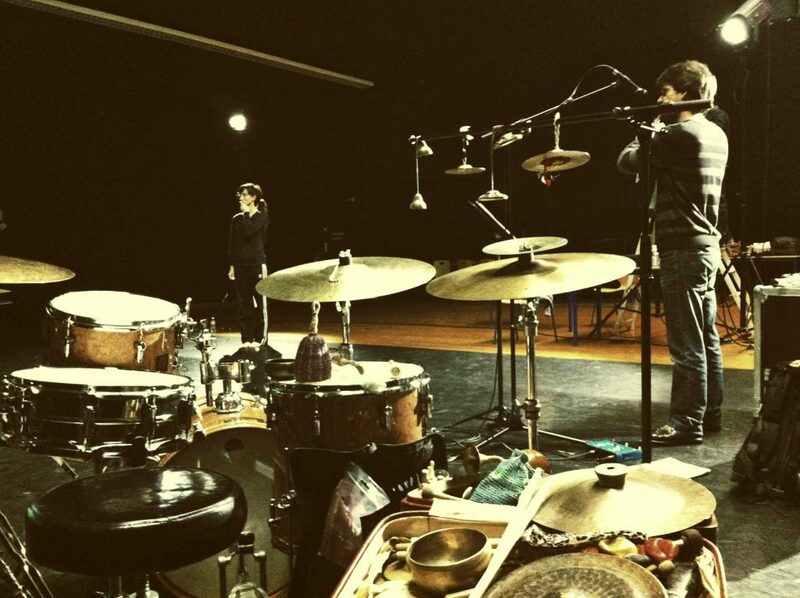 We are so happy to announce Mut Trio upcoming album My Ship featuring Masa Kamaguchi on double bass! 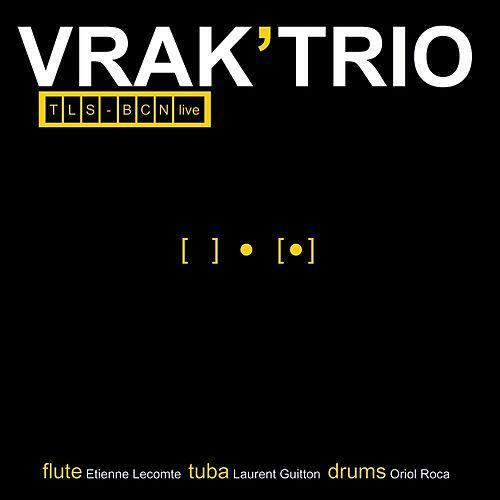 About four years ago my good friend and flute player Etienne Lecomte came up with the idea of combining two bands: the french-catalan VRAK’ TRIO and Barcelona based MUT TRIO with the (good!) 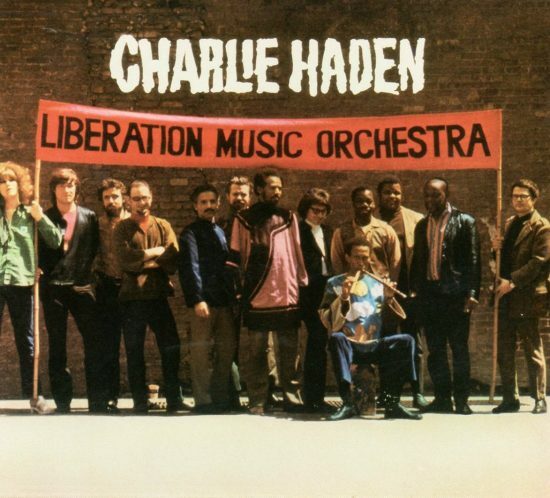 excuse to revisit Charlie Haden and Carla Bley memorable album The Ballad of The Fallen. A common musical approach (and not only by me being part of both trios) has always existed among the members of VRAK’ and MUT, who have been in contact following each other’s music paths and eventually participating together in music sessions; so revisiting an album by two beloved musicians such as Bley and Haden was a very exciting idea for all of us and a perfect excuse to get together and make some music. But the idea goes beyond Vrak and Mut. 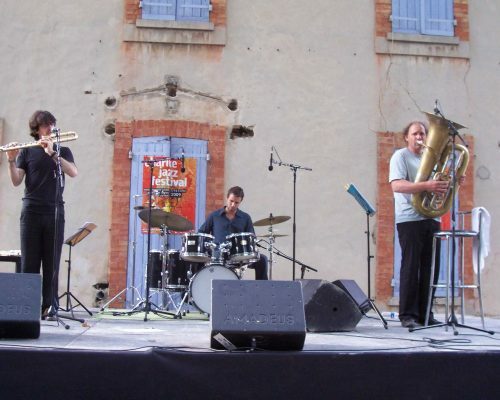 Tubist Laurent Guitton has been organizing music workshops for many years with amateur large brass ensembles all around France, and established a close relation with La Banda d’Auvergne and the Festival Les Nuits & Les Jours de Querbes, both from Midi-Pyrénées region. So the idea of revisiting The Ballad of The Fallen, an album based on Central America/spanish revolutionary music anthems and songs, becomes richer with the introduction of a third element: an amateur traditional brass band (fanfarre in french) which immediately creates through the instrumentation a very natural link with the “popular” sound of the original central american songs, and ties it up with Haden‘s Liberation Music Orchestra distinctive sound: impassioned, often dissonant lyricism combined with a village brass band, a frequent Spanish tinge, free jazz and folk music. 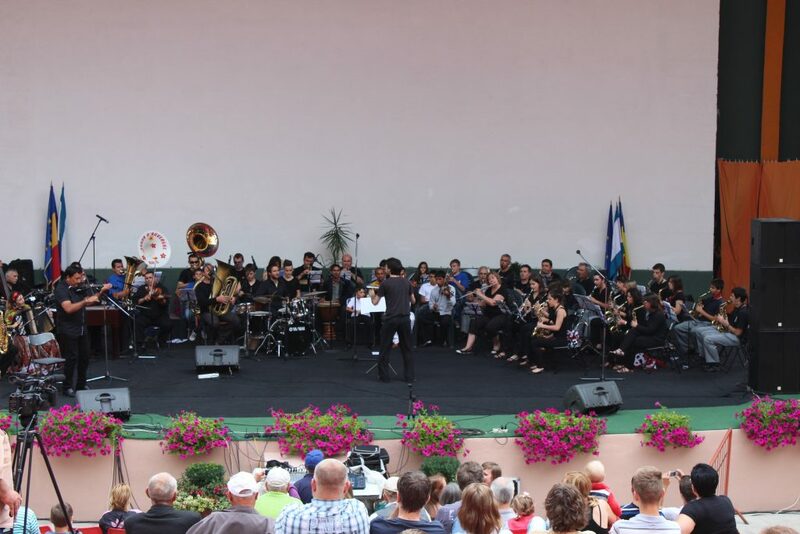 Thanks to the support of the Festival Les Nuits & Les Jours de Querbes and other french/european institutions we are are about to start working on it during a residence at the festival together with La Banda d’Auvergne and have a première concert on August 9th 2015. Revisiting this album will bring us as well the opportunity to work during 2016 with other large ensembles such as l’Harmonie du Conservatoire du Grand Narbonne and l’Harmonie du Conservatoire de Lézignan, adding to the whole project a pedagogical side which not only will be beneficiary for the music students that will take part on it (around 125 in total) but will help spreading the spirit of the original album among younger generations. 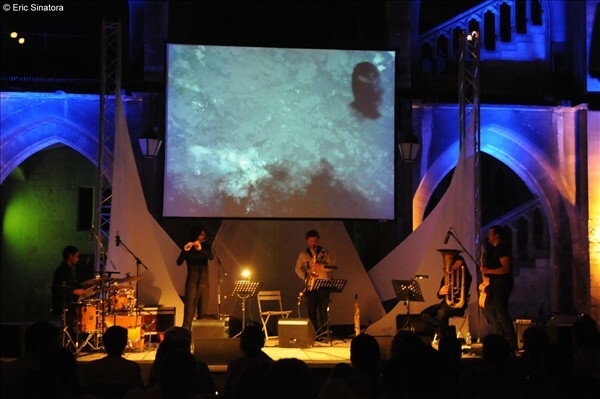 This contestataire album conveys a message of hope through music placed between free jazz and traditional songs. At a time of multiple revolutions around the world, the two groups propose, gathered through a rereading, a reflection on life. As an extension, this gathering provides a link with the current situation, using popular contemporary music to evoke the same problems and the same optimism as the record did on 1983. 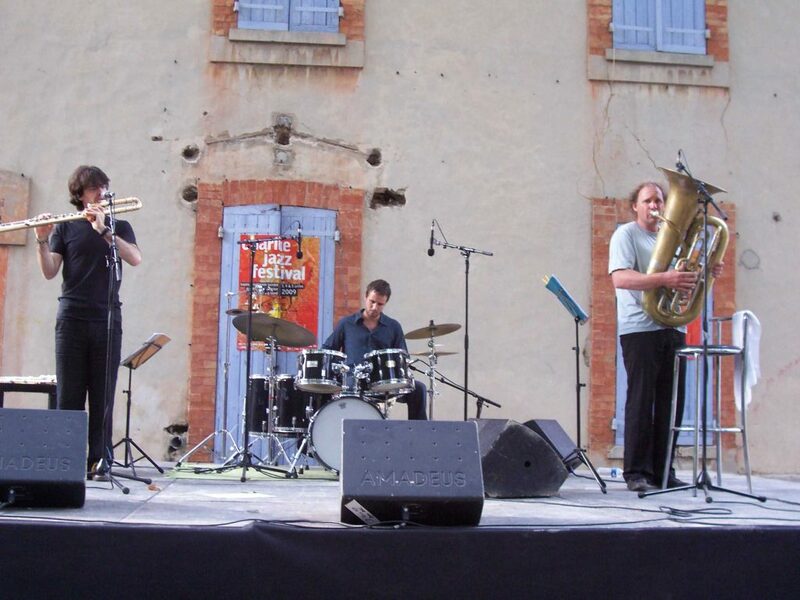 VRAK’ TRIO is by nature a group moving between France and Catalonia with two french members (Languedoc-Roussillon and Midi-Pyrénées ) and a catalan drummer. MUT TRIO represents the the catalan part of the pyrénées. This project wants to strengthen the link between these two countries and the three regions, connected by essence and history, but we’re basically willing to rediscover an album stamped with a beautiful message of solidarity, freedom and peace among people. 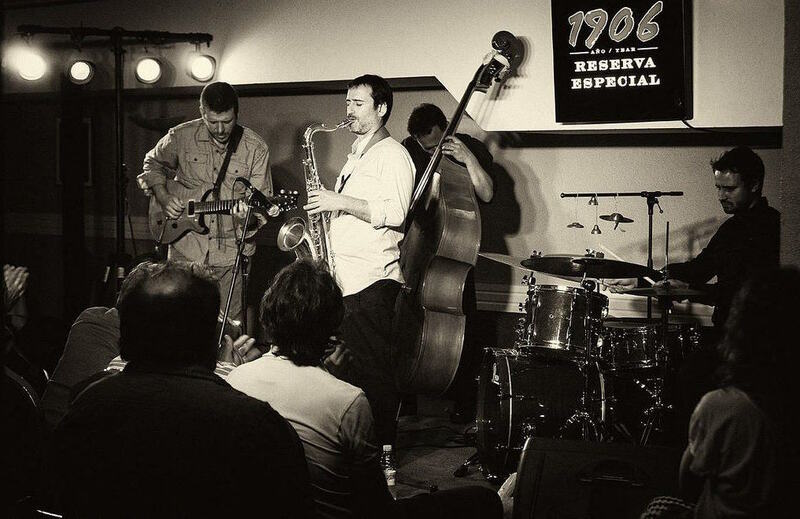 Recorded on May 12, 2013 by Josué Pascual at El Cuartito de Nora, Vilassar de Dalt, Barcelona. It’s criminal, really. 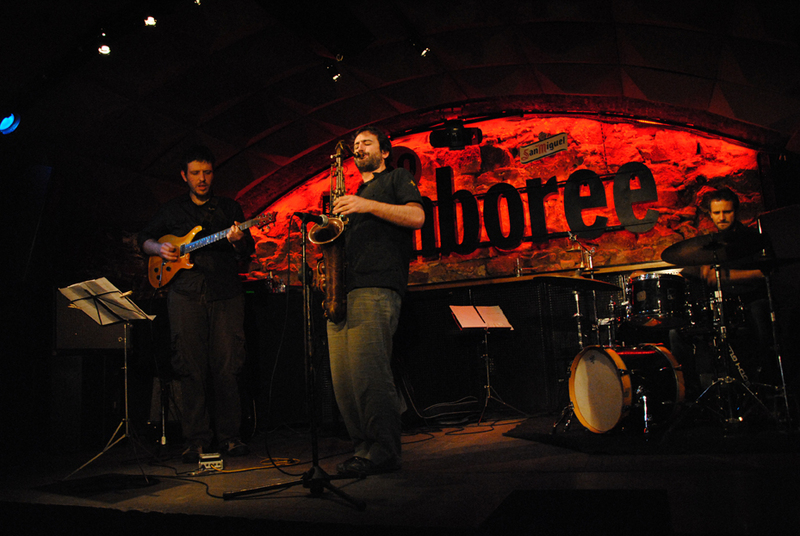 A long-standing Barcelona trio with a unique and idiosyncratic style and a repertoire that combines semi-composed themes with quirky improvisation, that somehow manages to unite elements of free jazz with more conventional stylings… and their 27 April 2015 gig at Robadors 23 begins with an audience of four. Now, granted it’s a Monday night but come on, Barcelona – make an effort, please! One thing the MUT Trio does not do is hurry. In fact, time seemed to slow in the presence of Tito Juan’s atmospheric chording and lingering single notes. Roca enters the picture with some muted sound-making as he runs plastic bags, shells (I think) and other objects over the drum kit. 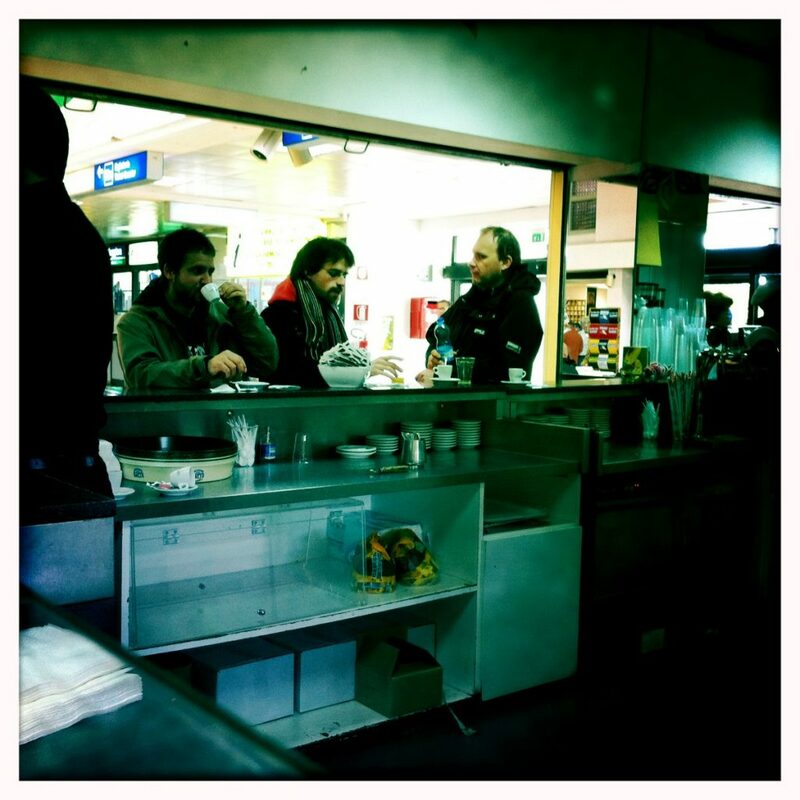 Fernández stands apparently waiting, inactive, with the horn hanging slackly… but faintly the subtle percussive sound of fingers on saxophone keys can be heard. After a single sonic swipe, languorous melodies begin to emerge from Fernández’ tenor, as Roca immerses himself in his own rhythmic world, and Juan commences a series of dissonant and angular interpolations (in the mathematical sense rather than the musical). It’s a four-way impressionistic soundscape in which silence plays the fourth hand – not for nothing are they named “mut” (Catalan for mute). 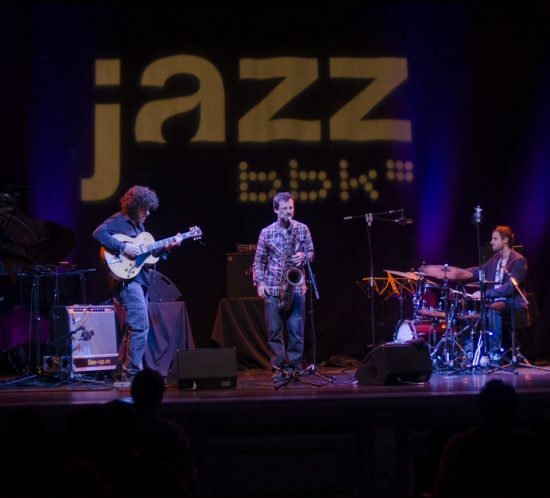 Then Fernández adds a brief touch of Coltrane’s tone (I’m pretty sure I imagined it, but for a second there I thought he quoted a fragment of A Love Supreme…) and at the same time, Juan dials up the distortion on his Fender amp – there’s an instant of juxtaposition and then a rapid and complete dissolution leaving Roca’s drums to gently fill the quiet. There’s a constant and spiralling progression happening here which nevertheless feels freeform in nature; ever-evolving, never resolving. The audience swells to six as another theme commences. The tenor drones and weaves, with a subtle hint of North Africa about it, waiting for the guitar (a rather stunning Paul Reed Smith, by the way) to begin a muted engine-like vibrating rhythm. 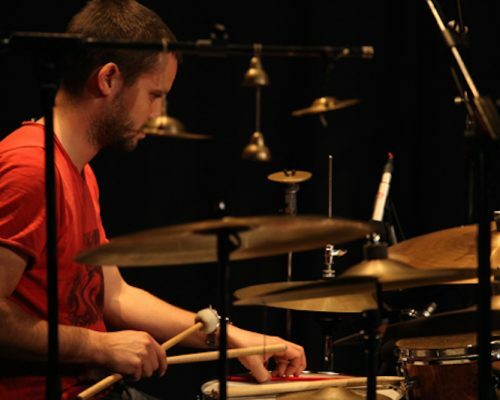 Roca enters into another complex and unpredictable series of patterns which would serve most other drummers as a solo, but here it’s simply his agile contribution to the landscape. 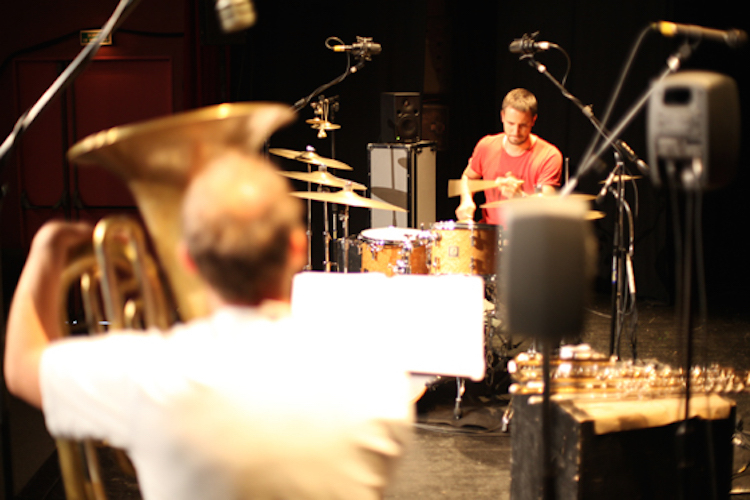 There’s definitely something about the febrile intimacy of these tunes which suits the close environment of Robadors 23. 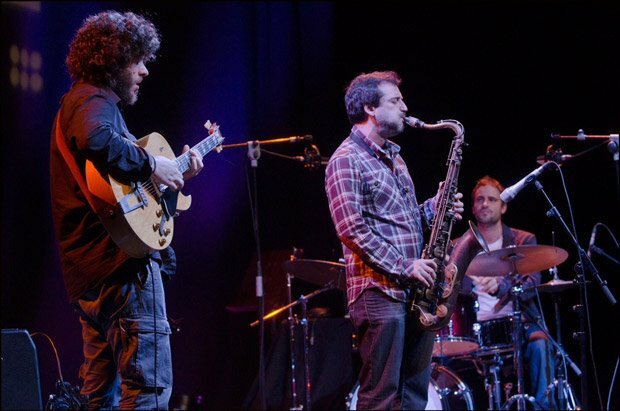 A little later on, Juan digs in with an overdriven tone and Fernández joins him in a simple ascending riff, played in unison, and the combined sound of guitar and saxophone can be felt directly to the chest, not just the ears – a sublime and practically telepathic moment. 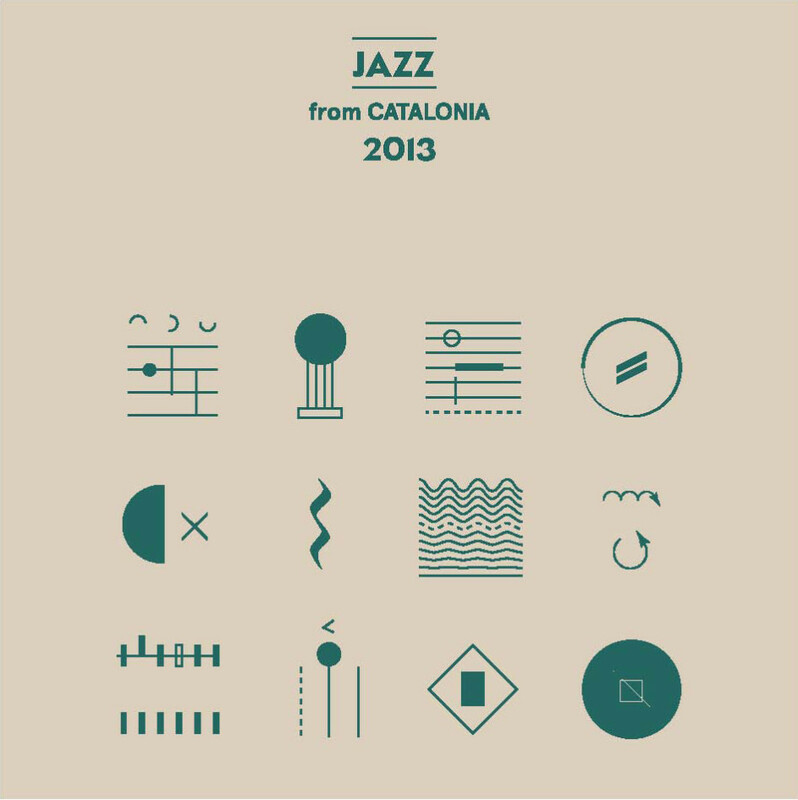 15 tracks selected by Pierre Bechet (music programmer) in collaboration with Susanna Carmona (coordinator of Jazz Terrassa), Martí Farré (music journalist), Josep Mestres (Barcelona Jazz Radio), Pere Pons (programmer of Jamboree Jazz Club) and Roger Roca (music journalist). 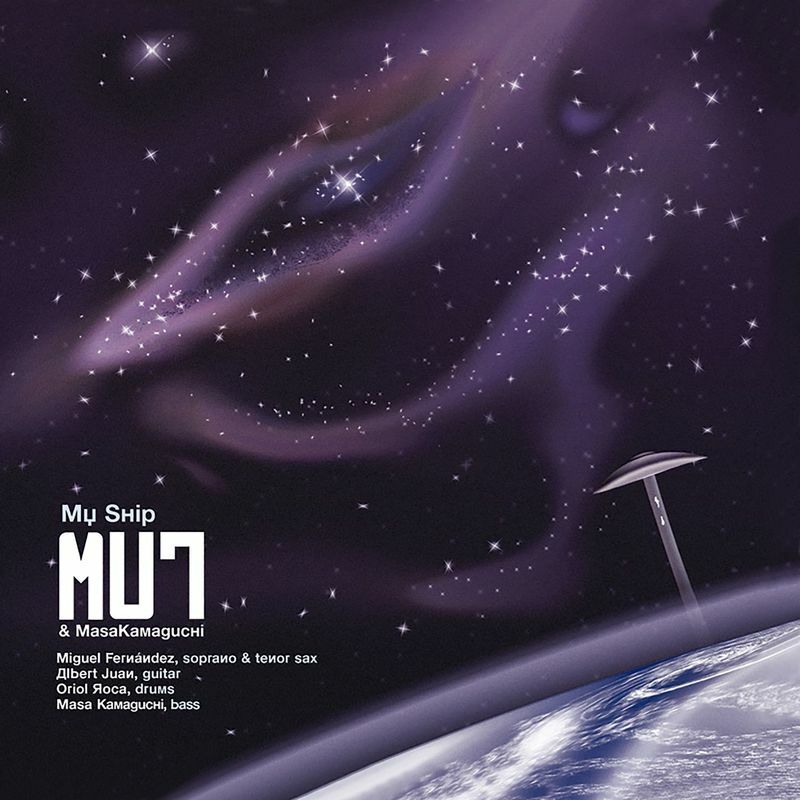 Second studio album by MUT TRIO that includes original compositions, short improvised pieces and revisited versions of Gershwin‘s Oh Bess, Where is my Bess? and Something’s Coming, from Leonard Bernstein‘s West Side Story. Hace unos años y como fruto de unas sesiones sin otra finalidad que la de tocar por diversión, Fernández, Juan y Roca decidían prolongar la vida de aquel encuentro y formar el trío MUT. En 2010, elnetlabel Whatabout Music publicaba en su web y en descarga libre su primer trabajo, el mini LP 1374 apenas un cuarto de hora de música pero en la que ya se vislumbraban las principales características de su música. El presente trabajo, segundo y de mayor duración, prosigue el trayecto exploratorio del anterior, profundizando en algunas cosas que tan sólo quedaban apuntadas en su predecesor, y aportando nuevas perspectivas al quehacer del conjunto. Una de las primeras cosas que hay que señalar de ellos para aquellos que no los conozcan es que se trata de una formación integrada por tres músicos de distinto pelaje. Por ejemplo, el navarro Miguel Fernández es un saxofonista eminentemente bopero. Su toque es claramente pos-coltraneano, y desde ahí sabe plantarse en esos terrenos indómitos que requiere el trío en muchos pasajes (cosa que no saben hacer muchos de su misma y exigente escuela, nacionales y extranjeros), y estoy pensando en sus caracoleos en el tema Deimos. El guitarrista Albert ‘Tito’ Juan, es un tipo que se mueve en un terreno estético escurridizo: me fascina su toque cool, pero lo es sólo a medias (¿cool reluctante?). 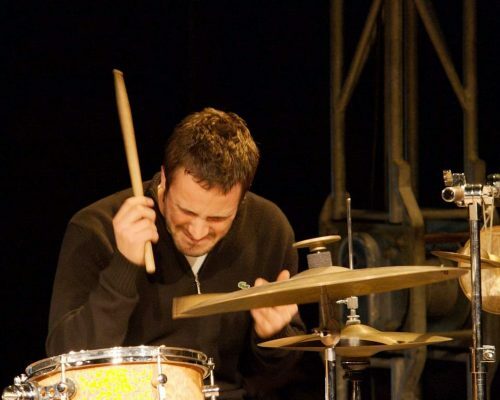 Y finalmente Oriol Roca, baterista aunque mejor sería decir percusionista, del que siempre he pensado que tiene una gran inteligencia instintiva (escuchen sino su disco en solo La Tomba dei Giganti, también en descarga libre en Whatabout Music), que naturalmente aquí también aplica, y que jamás reniega de género o recurso alguno. 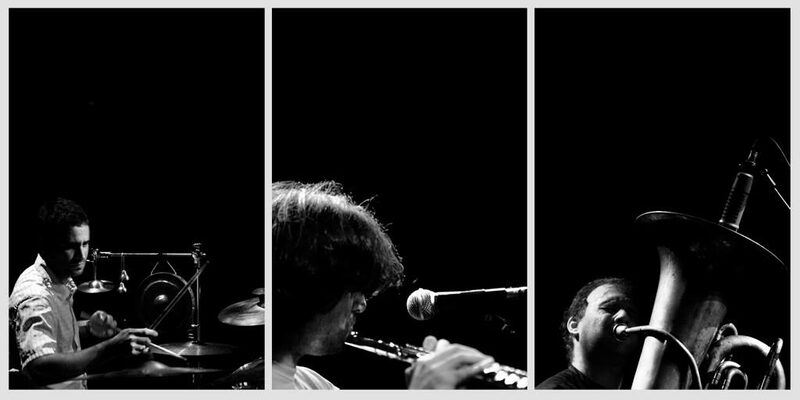 Este trio de música improvisada, así es como se definen, se adentra en una faceta poco habitual del jazz. 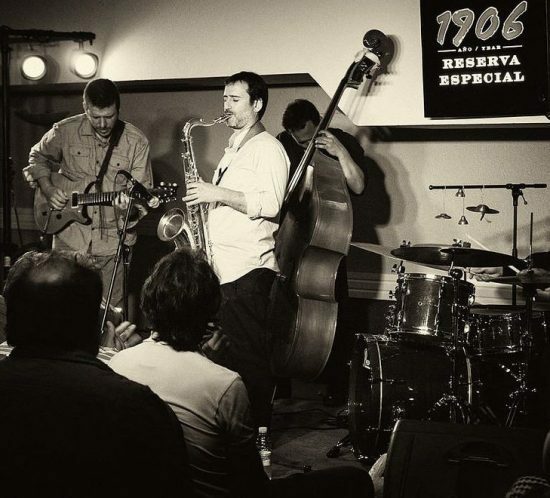 Tenemos ante nosotros el segundo trabajo de este singular trio formado por Miguel Fernández al saxo tenor, Albert Juan con la guitarra eléctrica y Oriol Roca a la batería. 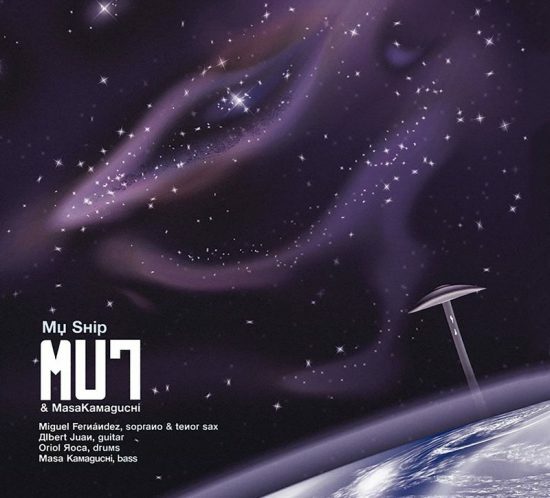 “Mut” significa mudo en catalán, imagino que algo tendrá que ver este significado con el misticismo libre de este álbum. El trio se formó en el año 2009. Y de los esporádicos ensayos surgió la idea de registrar esta música. La utilización de recursos literarios como medio de inspiración para la improvisada formación, es uno de los pretextos principales de “MUT trio / 2395”. 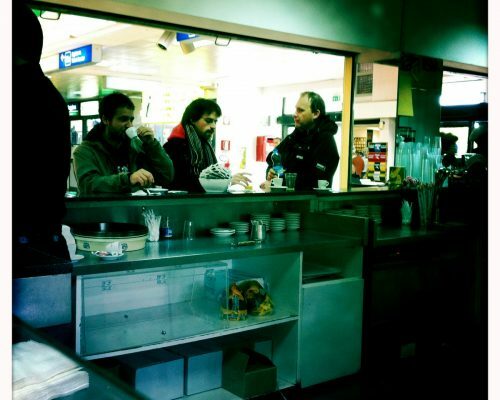 Los tres componentes de este trío llegaron a las puertas del sello bilbaíno Moskito Records. Allí aceptaron esta atrevida propuesta, la cual yo tampoco dudaría en apoyar. Con los tiempos que corren, las discográficas se lo piensan más de dos veces antes de editar un disco. Desde aquí les lanzo una propuesta: “apoyen los vinilos, que jamas se fueron y que ahora recuperan adeptos día a día”. Creo que son la solución, por este motivo MUT trio /2395 también se edita en vinilo, pero no es un vinilo cualquiera, es un vinilo blanco. 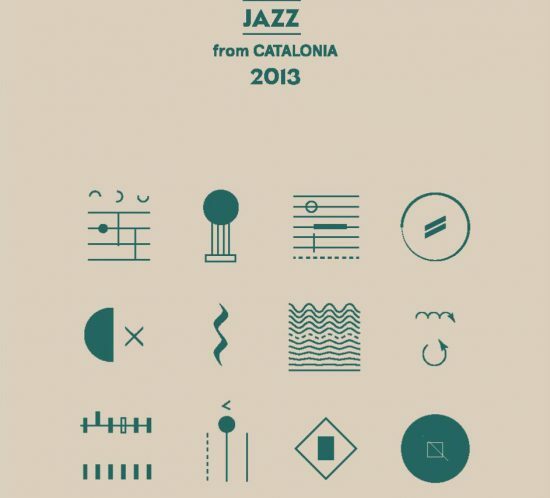 El resplandeciente trío, utiliza el trampolín del free jazz despiadado, para llegar a una optimización de su música, con la intención de que los jazzmans de a pie se sientan cómodos y sensibles, a los kafkianos acordes.